Save the date for July 25th - 28th, 2019. The festivals producers are working hard to wrap up 2018 and turn their attention to 2019. We will be announcing the venues in January of 2019 and the applications will open to artist on March 1st, 2019, first come, first serve. Join our newsletter to be the first to know about upcoming Fringe news! We will share with you exciting Fringy things going on in the community like where you can find our artist next. We will also announce our venues, exciting partnerships, and the 2019 Fringe line up! 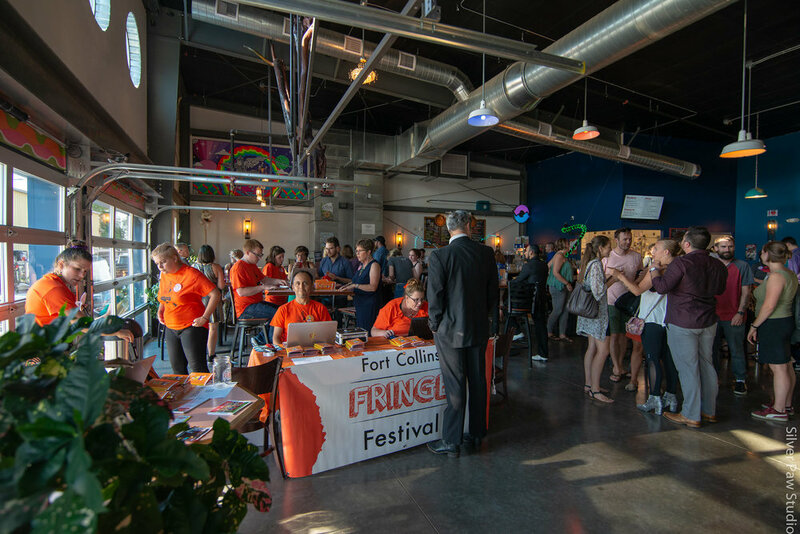 Weather you want to volunteer, donate, sponsor, or join the staff our Fringe Family is always growing and we would love to have you on board. We are always looking for new partners as we grow by leaps and bounds every year. Let us know if you are interested in getting more involved!